Remove anything from the room that doesn’t fit the intended purpose of the space, and vice versa. Take televisions out of bedrooms and designate an eating area in the kitchen, for example. Delineate sections in a room with area rugs, and “float” furniture away from walls and on and around the space. Avoid closing off accessibility by allowing at least three feet of walk-through space around furniture arrangements. Group solid furnishings, like sectionals or bookcases, with visually lighter pieces, like a glass side table or raised bench, to convey spaciousness over sparseness. 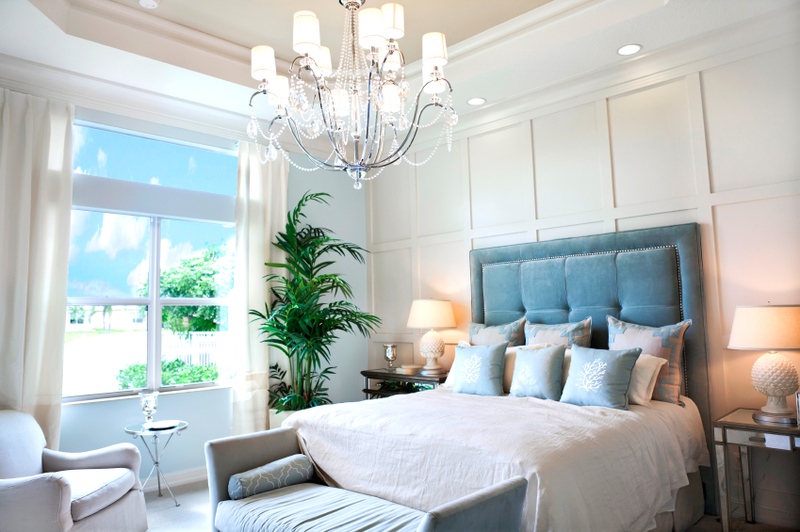 Have at least one light fixture for every 100 square feet of space, especially if your home lacks natural light. Use pure white lamp shades on all light fixtures, and replace any incandescent bulbs with CFLs. Mix general and task lighting in rooms that see the most traffic. Install lighting between open-air shelving or underneath overhead cabinetry in the kitchen, and place a small lamp on a desk or workspace in a child’s bedroom. Accessorize sparingly. Display only a handful of books with like-colored bindings in bookcases or shelving units, add one (thriving!) house plant to a side table, or hang one statement piece of artwork (scaled appropriately) over a bed or fireplace.